22.07.2012. La Costa, California, USA. 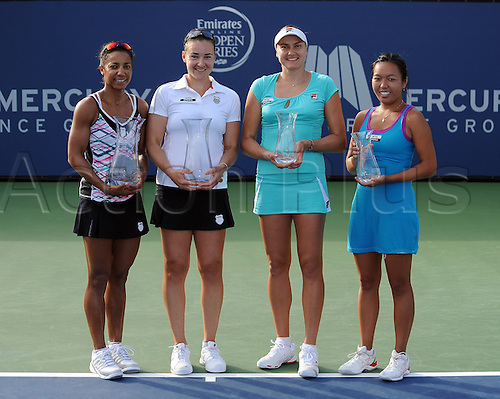 Raquel Kops-Jones (USA) and Abigail Spears (USA) at left stand with their trophies after defeating at right Nadia Petrova (RUS) and Vania King (USA) in a doubles final to win the Mercury Insurance Open played at the La Costa Resort and Spa.